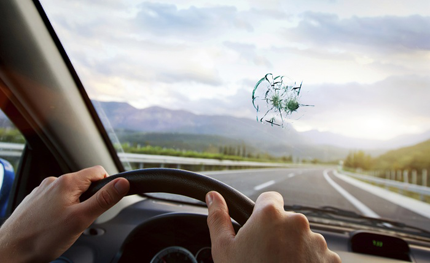 Whether we are conducting a car glass repair or other glass replacement, at Express OC Auto Glass, our mobile repair teams are both certified and insured to work on your automobile in any safe location in the local area. Our work is of the upmost quality, and you can be confident in the fact that we place our customer’s satisfaction and safety first. We fully leverage our more than 10 years of experience in the glass replacement and repair field to make sure you get the job done right the first time at one of the most competitive rates in the local area and aim to be your number one choice when searching for auto glass repair near me. If time is of the essence, our mobile repair teams are commonly available on the same day that you call us dependent on workload. Just let us know what the situation is and what a convenient time, date, and location is to meet you for the glass replacement, and our team will take care of your glass repair needs. Once you hire us for a glass replacement service, you will not be disappointed in the job our techs do. We also guarantee that your automobile will be left in a cleaner state than before we arrive. Our techs are trained to remove all old glass, cardboard, and will give your car or truck a thorough vacuuming before calling the job done. We do this on every job that we do, and our shop will never charge you extra for the convenience of our mobile car glass repair service. We are committed to excellence and our customer’s satisfaction. Our company also believes in standing behind our work 100%, and we offer a full warranty on all services that our company will do for you. Just give our staff a call today to see what we can do to help get your vehicle’s glass back up to manufacturer’s standards, and we will provide you a quote for our work at no charge. For more information on car glass, visit: https://en.wikipedia.org/wiki/Car_glass.